Viewers of ER would have noticed the return of a favorite character in the latest episode that screened in the US last night, November 13. 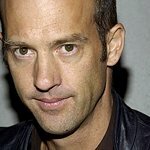 Dr Mark Greene, played by Anthony Edwards, made a welcome return after being killed off 8 years ago – and he has donated his appearance fee to charity. The episode centered on Dr. Cate Banfield, played by Angela Bassett, and her attempts to revive a little girl submerged under Lake Michigan for 20 minutes. The storyline recalled a similar crisis in which Dr. Greene has to to save another child whose plight seemed helpless, and how that incident inspired Banfield in her career. For Edwards, the chance to appear once more on the long-running hospital drama came at a perfect time for a project he was considering with Shoe4Africa, a charity that encourages empowerment through sports & education, creates unique health initiatives, and promotes Aids awareness. “I was about to launch a big fundraising campaign to build the largest children’s hospital in Africa with the charity I work with,” he told SunSentinel.com. 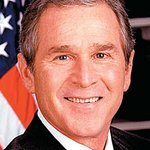 "So, in lieu of payment, they gave the hospital $125,000. Steven Spielberg found out and he matched it. And [ER executive producer] John Wells kicked in $50,000. So, for me it was really great, because there are two things really dear to me: the experience I had for eight years, which certainly changed my life, being on the show, then this whole new part of my life, which… has to do with children’s health and Africa. So, it was really a win-win for me." ER was created by novelist Michael Crichton – who died from cancer last week – and is currently in its final season after 15 seasons.